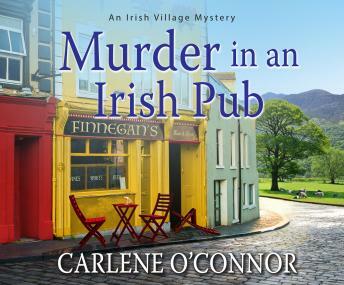 Listen to "Murder in an Irish Pub" on your iOS and Android device. The small village of Kilbane is hosting a poker tournament at the local pub, and card sharp Eamon Foley, a tinker out of Dublin, is set to win the tournament. But when Foley is found at the end of a rope, it's time for the garda to take matters into their own hands. Macdara Flannery would lay odds it's a simple suicide, but Siobhán suspects foul play, as does Foley's pregnant widow. Perhaps one of Foley's fellow finalists just raised the stakes to life and death. With conflicting theories on the crime, tensions are running high. Soon it's up to Siobhán to call a killer's bluff, but if she doesn't play her cards right, she may be the next one taken out of the game.